As I've probably said about a million times by now on this blog, social media is the third most important thing that you can do as a musician to be successful, right behind recording music and touring. It's crucial to anybody working in music these days, and every day new platforms, websites, and apps enter the ring, all hoping to become the next must-have for the masses. You should absolutely be involved with at least the big three social media outlets – Facebook, Twitter, and Instagram – all of which have essentially taken over the world. After that, there are a handful of others that can be helpful for some acts for certain reasons. You don't need to be on all of these (or any of them, if you really hate social media and you're terrible at it), but you may want to consider joining one or two, as you can never be too connected to your fans, can you? This one is becoming more and more of a must for everyone from musicians to brands. Snapchat is where the kids are, and they're spending a rapidly increasing amount of time looking at "snaps" on their phones. For those who don't know what Snapchat is, the idea is pretty simple: you take photos or short videos of yourself or whatever is happening around you in a certain moment, and send it out to your followers. For any musician or band trying to appeal especially to those under the age of, say, 25, Snapchat is really a must. You don't have to overthink your Snapchats, but you do need to do them often, so keep that in mind. Whip out your phone as you're driving to the next tour stop, as you say hi to fans onstage, as you start thinking up a new song, or pretty much anytime you're doing something that could be considered even slightly interesting to those following you. Tumblr is sort of the new blog, and while it wasn't originally created for people to write, it's become a place for people to post whatever they want. I personally have seen plenty of musicians use Tumblr as their main website, as it can feature pretty much everything you would put on a traditional site. There won't be many frills, but you can share your upcoming tour dates, music, and certainly images, which is one of the main things that the platform was originally built for. If you have a lot going on, and you need a place to host it all online, you might still want to spring for having a real website made, but if you're just getting started and you only need a free place to occasionally update people and post photos and such (and if you don't know how to make a website), Tumblr is for you. 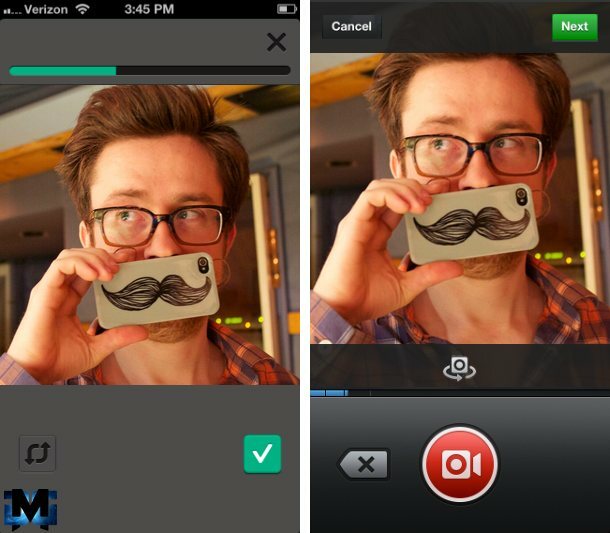 Vine is similar to Snapchat in that they're both used for creating short videos, but they differ in many other ways. Snapchat is for those looking to send something out to people to watch immediately (users get notifications, like with a text), but Vines get uploaded and sit waiting for people to watch them, like on Instagram. They're also typically more interesting, so if you're going to go for it, you should really do it well. Since the videos are only a few seconds long, Vine is a great platform for hinting at new music or other surprises. You can let your fans hear just a snippet of a new track, but not so much that they know what the entire song is like. In addition to that, I'd say that musicians who have committed to being exceptionally "social" should launch their own accounts. Some artists only use social media to update fans, while others spend tons of time posting many times a day on every platform, and their fans have come to love them for it. If you want to connect with your fans constantly, and you're looking for inventive new ways to do so, Vine could be a good fit. With Pinterest, you create boards of images to show anything you want, from your dream wedding (a favorite among some women on the platform), to food, to photos of you and friends. Pinterest is only for photos, but that might be a big part of who you are as a musician. I've run into many musicians and bands that have Pinterests, and I've seen them use it for everything, including promotional photos, behind-the-scenes shots (in the studio, on the tour bus, etc. ), as well as those taken by fans in the crowd at shows. Pinterest does have a smaller audience than the other sites on this list, and not all of your fans will have it, but if you want visuals to be a big part of your schtick, feel free to sign up and share your images.